In September 2016 the Edward J. Bloustein School of Planning and Public Policy celebrated its 25th anniversary. Established and approved by the Rutgers University Board of Governors in 1992, the school serves as one of the nation’s key centers for the theory and practice of planning and public policy scholarship and analysis. Edward J. Bloustein was the seventeenth president of Rutgers, The State University of New Jersey. He graduated Phi Beta Kappa from New York University and received his law and Ph.D. degrees from Cornell. After teaching at NYU and serving as President of Bennington College, he was appointed President of Rutgers in 1971. Many observers of higher education believe that, under Dr. Bloustein’s presidency, Rutgers reached a “Golden Age.” His tenure as Rutgers’ president began in the midst of student protests over Vietnam and ended with protests over proposed increases in student tuition, but the intervening years saw the university expand its research facilities, attract internationally known scholars, and achieve distinction as one of the major public research universities in the nation. In February 1989, the university was invited to join 56 other prestigious academic institutions that make up the Association of American Universities. It was this kind of recognition that Edward Bloustein worked so diligently for Rutgers during his 18 years in office. This was the same year in which Dr. Bloustein passed away. The establishment of the School of Planning and Public Policy was one of Dr. Bloustein’s last acts as president, and it was named in his honor in 1992. 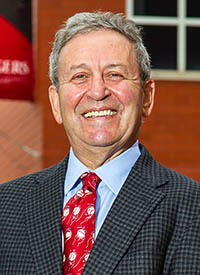 Citing his leadership in establishing partnerships between the university, state, and private sector as well as his great involvement in the public service mission of the university, the Rutgers Board of Governors noted that he often spoke of the need for a school to serve local and state public policy concerns and of the importance of community service as part of a liberal education. With its graduate urban planning program ranked nationally, an accredited graduate public policy program, the undergraduate public health program ranked 4th nationally, and new research interests in health administration, public administration, and public informatics added more recently, the Bloustein School is committed to a rebirth of the public service ethic in the United States. The ethic focuses on good civic design in its broadest sense, encompassing such endeavors as housing, transportation, workforce development, public health, economic development, ecological balance, and social justice for the disadvantaged. The school supports a wide variety of educational activities, including undergraduate, master’s and doctoral degree programs, continuing education and conferences for professionals and alumni, and a range of research centers focused on major planning and policy issues. City and regional planning at Rutgers, The State University of New Jersey, has its intellectual roots dating back a century. Harland Bartholomew, known as the “dean of city planners” in the twentieth century, attended Rutgers College of Engineering in 1911. As the knowledge required by planners grew in breadth and complexity, professional planning training often moved from schools of engineering and architecture to separate planning-focused units. This was true nationally, as well as at Rutgers. Rutgers created the Department of Urban Planning and Policy Development (UPPD) in 1967 on the newly created Kilmer Campus. UPPD was originally located physically on the Rutgers Campus in New Brunswick (third floor of the old Engineering Building on the Voorhees Mall, now Murray Hall) before moving in 1968 across the Raritan River to its new home within Livingston College on the Kilmer Campus (later renamed the Livingston Campus) in Piscataway. Administratively, UPPD was placed under the Livingston College dean and a broad unit within the college, known as the Division of Urban Studies. However, the MCRP degree was awarded by the Graduate School of Rutgers in New Brunswick. The original 1967 faculty members were Lawrence D. Mann (chair), George Sternlieb, Norman Williams, David Popenoe, and Donald A. Krueckeberg. Early UPPD faculty members Richard Brail, Salah El-Shakhs, and Susan Fainstein all recollect that UPPD’s mission was forged in the tempestuous cauldron of the late 1960s’ urban unrest and the desire to address, through research and service, the inequalities underlying it. Over the decades, there have been numerous changes with regard to UPPD. After various academic realignments within Rutgers, UPPD became one of the two master’s programs, joining Public Policy, in the Edward J. Bloustein School of Planning and Public Policy, which itself was formed in 1992. With its creation, the Bloustein School then awarded the professional MCRP degree. From 1995 until the present, UPPD (Program in Urban Planning and Policy Development) has been in the resplendent Bloustein building at Civic Square in downtown New Brunswick—a long way and big improvement from having held classes first in a modest former World War II Army building at Livingston College (Building 4051) and then (1971–1995) at Livingston’s bemoaned cast concrete and Brutalist modern Lucy Stone Hall. While changes have occurred in the Planning program over the nearly five decades of its existence, there are a number of constants. It is one of the nation’s premier planning graduate programs. From its formation through 2016, it has granted approximately 1,800 master’s degrees in this discipline. The program has been reviewed and accredited (1987, 1992, 1997, 2003, 2008, 2014) with the highest accolades by the American Institute of Certified Planners (AICP) and the Association of Collegiate Schools of Planning (ACSP). In 2011, the Planetizen Guide to Graduate Urban Planning Programs ranked Bloustein’s UPPD Number 3 among the nation’s 76 ranked planning schools—up from a 4th best-in-nation ranking by Planetizen in 2009. It has remained among the top 10 schools in the nation since. Another constant is UPPD’s diversity and academic excellence. Drawn from graduate training in many disciplines—from planning to law, economics, and geography—UPPD professors have blazed paths in important research on many fronts. Faculty members have regularly conducted studies for the National Science Foundation, the National Academy of Sciences, and other prestigious research funding entities; have authored numerous monographs identified by the American Planning Association (APA) as core to “The Essential Planning Library”; have often written annual “best articles” in the APA Journal; and been editors of this journal and others in geography, policy, and related disciplines. UPPD professors are not armchair academics. They were instrumental in crafting New Jersey’s heralded Mount Laurel response to affordable housing and routinely testify before legislative bodies in Washington, D.C., Trenton, and elsewhere. UPPD faculty take teaching and mentoring responsibilities seriously. Before his passing in 2013 retired UPPD professor Jerry Rose, who taught a gateway planning-law class for many years, remarked, “I enjoyed teaching. . . . I felt exhilarated during class and gratified at the end of each class. Many of my students were turned on by legal analysis.” UPPD has benefited from the able stewardship of its chairpersons and directors, which included (in chronological order) the following professors: Larry Mann, Melvin Levin, Jerry Rose, Donald Krueckeberg, Susan Fainstein, James Hughes, Richard Brail, Hooshang Amirahmadi, Lyna Wiggins, Clinton Andrews, and Robert Burchell. UPPD students are similarly varied, talented, and accomplished. The most recent entering UPPD class did undergraduate work in 30 states and 15 foreign countries. UPPD graduates have attained the most senior planning positions across the United States and internationally in the public, private, and nonprofit sectors. Examples include chief of staff of a United Nations agency, vice president at the World Bank, principals of national professional planning firms, and director (three incumbencies) of the New Jersey Housing and Mortgage Finance Agency. Diverse disciplines—reflected in the backgrounds of incoming students, in the positions filled by graduates, in the academic and professional pursuits of the faculty—exemplify the . . . Graduate Program in Urban Planning and Policy Development at Rutgers. This intentional diversity sets the direction for the department, to seek a variety of approaches and expressions in exploring the dimensions of urban and regional questions and in preparing responses. . . . The department assumes that the planner’s goal is to achieve social improvement. And it reasons that, in today’s world, effort requires competence in dealing with socioeconomic problems as well as with the physical and natural concerns of traditional planning. Concurrent with the Bloustein School’s 25th anniversary, in 2016, the Program in Urban Planning and Policy Development celebrated 50 years of teaching planning to the students at Rutgers University. From 1956 to 1992, the political science department on the Rutgers New Brunswick campus offered a professionally oriented Master of Arts (MA) in Political Science with a focus on politics and public policy. Significant financial support was provided by the Eagleton Institute of Politics, where the program was housed and administered. The curriculum was significantly reformed during the 1978–1979 academic year and a new curriculum introduced during the 1979–1980 academic year. The new curriculum emphasized public policy analysis and quantitative methods for policy research. A capstone practicum course was also added. From 1980 to 1992, the program of study under the MA professional concentration in politics and public policy remained essentially unchanged. In September of 1992, the Department of Public Policy was formed and Carl Van Horn was appointed founding chair. The department was comprised principally of faculty who were previously affiliated with the professional master’s programs in the Political Science department. During the 1992–1993 academic year, Department of Public Policy faculty developed and received approval for the establishment of a two-year Master of Public Policy (MPP) degree at the Bloustein School. This new degree program added courses in methods of policy analysis and quantitative methods, economics, and a summer field internship between the first and second year of full-time study. The one-year professional master’s degree program in political science also continued during this period of transition. Responsibility for administering the program shifted from Eagleton Institute to the Bloustein School. To meet the needs of students who already had several years of professional experience working in government and nonprofit institutions, public policy faculty also created a 30-credit (one-year) Master of Public Affairs and Politics (MPAP) degree that was offered by the Bloustein School. From 1992 to 1998, most of the students were enrolled in the MPAP program. The first student was admitted to the two-year MPP program in 1997 and graduated in 1999. Since then, however, the two-year MPP degree has grown and become the central focus of the Bloustein School’s Program in Public Policy. The program has grown steadily: Now, approximately 25 to 30 MPP students and a handful of MPAP students are admitted each year. Fourteen full-time faculty members are affiliated with the program. While the program continues to send graduates to jobs in New Jersey State and other state governments, they also work in Washington, D.C., and around the world. 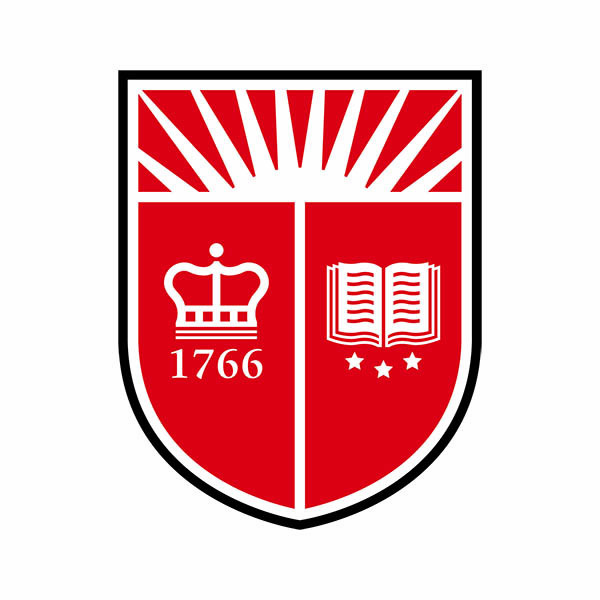 The Bloustein School now offers more than a dozen concentrations and joint degrees with Rutgers Law School, Rutgers Business School, the Rutgers School of Public Health, and its own Program in Urban Planning and Policy Development. In 2011 the MPP degree was accredited by NASPAA. This accreditation is part of a broader effort to grow the program and expand its reach. It is intended that the MPP program will continue to gain attention for its overall excellence in public policy and particular expertise in social policy and community development in the years ahead. In tandem with the creation of the undergraduate major in Health Administration in 2015, University Professor and Undergraduate Program Director Raphael J. Caprio recognized the need for providing advanced training to professionals already in the field. In January 2017, the Bloustein School enrolled its first cohort of graduate students in the Executive Master of Health Administration (MHA) program. The two-year, cohort-based program is designed for the health professional with five or more years of experience in the field. The traditional MHA program began enrolling students in the fall of 2017, and is designed for students who have completed a bachelor’s degree, have less than five years of experience in the healthcare industry, or are seeking to make a career change and complete the program at their own pace on a full- or part-time basis. The two tracks seek to prepare students for leadership and management positions in governmental, nonprofit, public and private organizations. In the first year of course offerings, more than 100 students applied to the two programs, with an initial enrollment of 80 students. Both programs are designated to achieve accreditation by the Commission on Accreditation of Healthcare Management Education (CAHME) by 2020. In May 2016, the Bloustein School conferred the 190th Doctor of Philosophy (PhD) degree in Planning and Public Policy granted at Rutgers University. 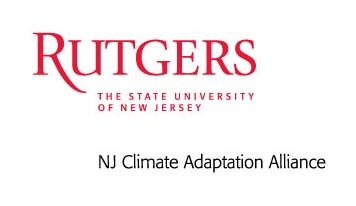 This is a significant milestone in the history of a program that has grown substantially in breadth and intellectual quality since the establishment of a PhD in Urban Planning at Rutgers nearly a half-century ago. The PhD degree in Urban Planning was inaugurated at Rutgers in 1968, only one year after establishment of the Master of City and Regional Planning (MCRP) degree in the newly formed Department of Urban Planning. Unlike the professional master’s degrees, the PhD is conferred by the Graduate School–New Brunswick, and doctoral dissertations completed in the program are submitted through the Graduate School. The first doctoral degrees were awarded within three years of the program’s founding to James Hughes and Robert Burchell in 1971. In 1978, the name of the doctoral program was changed to the PhD in Urban Planning and Policy Development, reflecting the programmatic emphasis on policy and politics that has characterized urban planning at Rutgers since its inception. The name was changed again in 2007 to the PhD in Planning and Public Policy, solidifying the PhD program’s role in bridging the planning and policy sides of the Bloustein School. Professor Larry Mann was named the first director of the PhD program in 1968. 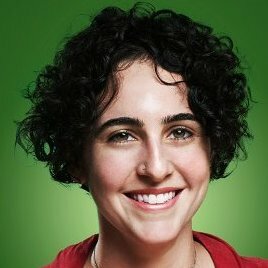 Subsequent program directors included Salah El-Shakhs (1972–1979); Susan Fainstein (1979–1981 and 1990–2001); Robert Beauregard (1981–1990); David Listokin (2002–2009); and Robert Lake (2009–present). The size and pace of the PhD program consistently expanded over the course of its history. From a program granting two or three doctorates annually over its first two decades, the number of conferred doctoral degrees increased to six per year on average between 1995 and 2009 and to ten per year since 2010. Topics addressed in doctoral dissertations generally mirrored substantive shifts and methodological trends over time in the disciplines of planning and public policy. Dissertations in the early years tended to explore applied planning problems through the application of quantitative modeling, while later years saw the expansion of research questions and methods reflecting the broader fields of urban planning and policy studies. Bloustein doctoral students received the Best Dissertation in Planning award from the Association of Collegiate Schools of Planning in 2004, 2005, 2006, and 2008 and the Best Dissertation in International Planning award in 2011. Graduates of the doctoral program have found employment in leading private-sector firms, in senior management positions in public agencies and nonprofit organizations, and in academic institutions throughout the United States and abroad. Bloustein PhD graduates occupy senior positions at the United Nations, World Bank, African Development Bank, European Commission, U.S. Foreign Service, Federal Reserve, Centers for Disease Control and Prevention, and the U.S. Environmental Protection Agency, among other global and national institutions. Graduates of the program hold academic positions in twenty states and seventeen nations around the globe. Since 2009, the doctoral program has hosted the annual Krueckeberg Doctoral Conference at the Bloustein School, commemorating the late Professor Donald Krueckeberg’s many contributions to the PhD program and providing doctoral students with a forum for presenting their research. The undergraduate programs at the Bloustein School began during the 1960s with the opening of Livingston College. The Urban Studies and Community Development (USCD) major was enormously popular, hosting large numbers of minority and nontraditional students. During the 1970s, several faculty members developed interests in community health, and a new, accredited Public Health Administration major began in 1976. Over the course of the next decade, Social Work and Journalism emerged as new majors, and these were removed from USCD. By 1980, USCD was renamed the Department of Urban Studies and Community Health (USCH) and offered two undergraduate majors: a pre-professional (accredited) BS in Public Health Administration, and a liberal arts BA in Urban Studies. The majors were offered in conjunction with four of the New Brunswick undergraduate colleges, with Cook declining to accept the Urban Studies major. During the mid-1980s, USCH and Environmental Science (Cook College) agreed to participate in the fledgling New Jersey Graduate Program in Public Health (NJGPPH), a joint creation of Rutgers–New Brunswick and the University of Medicine and Dentistry of New Jersey (UMDNJ). Selected Rutgers faculty had coterminous appointments and graduate teaching assignments at UMDNJ, and both the EJB and NJGPPH deans signed the MPH degrees issued by UMDNJ. In addition, the Bloustein School transitioned from offering the Public Health Administration major to one in Public Health during this time. The change reflected both the link with the NJGPPH, the difficulty offering the business courses required for continued accreditation, and changes in faculty expertise. In 1999, the NJGPPH became the UMDNJ School of Public Health (UMDNJ-SPH) and faculty relationships between the two universities began to diminish. With the merger of the two universities in 2013, the UMDNJ-SPH became the Rutgers School of Public Health. In 2015, full authority for the MPH degree was transferred to the Rutgers-SPH School of Public Health. By 2000, the number of Urban Studies majors was in decline. The faculty responded by converting the Urban Studies major into Planning and Public Policy in 2005. That year, the college system in New Brunswick was consolidated into the School of Arts and Sciences (SAS) and the School of Environmental and Biological Sciences (SEBS). This reorganization resulted in EJB seeing a dramatic decrease in the number of transfer, returning adult, and nontraditional students because SAS and SEBS became gatekeepers to upper-division schools. In 2011, the vice president for Undergraduate Education supported the professional schools in their effort to provide upper-level direct admission. The Bloustein School began direct admission for public health in the fall of that year, hiring several instructional staff to serve more students. Online and hybrid courses were developed to serve the needs of nontraditional students and off-campus courses were scheduled at Atlantic Cape and Brookdale community colleges in spring 2012. Today, all Bloustein School majors are available to transfer students, including international students. In 2013 the Planning and Public Policy major was made available to SAS students from the South China University of Technology (SCUT). As of 2016, SCUT students could transfer directly to the Bloustein School for the Public Policy major. Following what was considered one of the worst economic downturns to affect the country, surveys of students majoring in planning and public policy indicated that many were interested in focusing on solely public policy or urban planning. In response, the faculty voted for a new Public Policy minor that was implemented in fall 2011, and a Public Policy major in the fall of 2013. A new major in Urban Planning and Design was also offered, beginning in the fall of 2015. Renewed interest in improvement of the health and well-being of populations across the globe resulted in an unprecedented explosion in the undergraduate public health population. By 2014, the school was offering public health certificate programs in long-term care administration, public health preparedness, public health education, addictions prevention, and public health administration. With nearly one-quarter of all public health majors seeking courses in public health administration, the faculty began developing a plan for a major in Health Administration, with a heavy focus on the ethical, economic, and operational sides of the public health field. Health Administration generated interest immediately, new faculty members were hired, and students began taking the first courses in the fall of 2015. The demand for the Public Health major, at Rutgers and across the nation, led to the decision by the Council for Education in Public Health (CEPH) to offer accreditation of undergraduate programs. Following a two-year process, in the summer of 2016 the Bloustein School became one of the first four schools in the country to have its stand-alone baccalaureate public health program receive CEPH accreditation. Almost simultaneously, College Factual ranked the school’s program as #4 of the top 50 U.S. colleges for a major in public health. In a more comprehensive national assessment conducted in 2017-18, College Factual ranked the public health degree program #7 of 100 nationwide, and was ranked #1 for non-traditional students and #1 for veterans. Michael R. Greenberg, long-time Associate Dean of Faculty, appointed as Interim Dean as international dean search commences. Public Health undergraduate major ranked 1 out of 102 U.S. colleges for veteran friendliness/providing a quality education in public health for veterans by College Factual. Public Health undergraduate major ranked 1 out of 95 U.S. colleges for returning adults and non-traditional students by College Factual.